The challenging nature of change is well documented and adequate preparation before implementing a change initiative is critical to reducing resistance and increasing its chances of success. 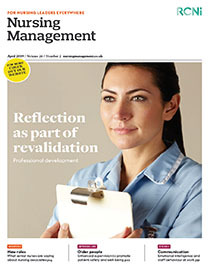 This article describes a service review conducted in preparation for possible change and improvement at an internationally ranked school of nursing and midwifery in an Irish tertiary education institution. The purpose of the review was to examine organisational structures and work activities, including pressures facing the administrative team that supports the school, and to establish whether operations were fit for purpose and capable of continuing to support the international ranking. The article outlines the importance of change to maintain a competitive edge and the critical role of leadership during change. The background and rationale for the service review are discussed along with the methods used to prepare staff. The article also reports outcomes of the surveys and focus groups undertaken and discusses the main recommendations and changes implemented so far. It also suggests how the outcomes are relevant to clinical practice.